Schinziophyton rautanenii, commonly known as mongongo or manketti, is a large spreading tree that resides in the woody hills and sandy dunes of subtropical southern Africa. The mongongo produces an egg-shaped fruit comprised of a thin layer of flesh around a hard shell; within the shell is a nutrient-dense nut. The mongongo nut is a staple food for the area and has been consumed by the San bushmen for more than 7,000 years. When rendered into an oil, mongongo has been traditionally used to soften and moisten the skin. Mongongo oil is unlike other botanical oils because of its unique composition of polyunsaturated fatty acids, antioxidants, minerals, and proteins. Mongongo oil is composed of between 36% to 49% linoleic acid, a polyunsaturated omega-6 fatty acid. Like other essential fatty acids, linoleic acid must be consumed from external sources since it cannot be synthesized in the body. A deficiency in essential fatty acids leads to a decline in the skin barrier function. The stratum corneum is the outermost layer of the epidermis and serves to protect the body from the elements while trapping moisture within. It acts as a natural defense against UV light, bacteria, dehydration, and infection. When the skin barrier is compromised, it causes a dramatic loss of moisture in the skin. It is considered the primary physiological factor in the development of eczema, psoriasis, and other skin diseases. Shown to correct deficiencies in skin barrier function, linoleic acid completely restored moisture levels in essential fatty acid deprived mice. The study, published in 1980, compared topical applications of linoleic acid and oleic acid and found that, while both fatty acids worked to restore skin barrier function, linoleic acid worked much faster and had noticeable skin softening results after just one day of treatment. A conjugated fatty acid, eleostearic acid makes up around 25% of mongongo oil’s fat profile. Several studies on the effects on eleostearic acid have found that it has anti-cancer properties, with the ability to supress tumor growth. Another interesting quality of eleostearic acid is its use a sun protectant. Traditionally, mongongo oil has been used topically as a natural sunscreen; the oil polymerizes when exposed to UV light which provides a protective shield for the skin and hair. Oleic acid is found in many kinds of plant fats, most notably virgin olive oil. In mongongo, it makes up 15% of the oil. Oleic acid is a penetration enhancer, increasing the ability of the skin to absorb moisture and nutrients. As an emollient, oleic acid is an excellent moisturizer that has a deeply hydrating effect on the skin. While it moisturizes, it also offers gentle cleansing action as well. Palmitic acid is a well-rounded fatty acid with surfactant, emollient, and occlusive qualities that work in tandem to cleanse, soften, and keep moisture in the skin. Produced naturally in the human dermis, palmitic acid can decrease by as much as 56% as we age. Mongongo oil is composed of 8% palmitic acid, which is a good amount since anything above 13% can have a drying effect on the skin. Vital to healthy skin, vitamin E is a potent antioxidant with the ability to neutralize free radical damage that causes premature aging. It can help prevent and repair fine lines and wrinkles caused by sun damage while providing some protection from UV light since it absorbs lower wavelengths of the UVB spectrum. When applied topically, vitamin E can reduce skin swelling, thickness, redness, and other signs of inflammation. It also helps speed up the wound healing process. Mongongo oil is particularly rich in vitamin E. Each 100 gram portion provides 565 mg of vitamin E and tocopherol. An ancient cure for skin dryness and inflammation, bathing in the Dead Sea has been an effective therapy for thousands of years. Although the Dead Sea is composed of several minerals, it is most abundant in magnesium. Studies on magnesium therapy have shown that it prevents transepidermal water loss while boosting skin hydration. It reduces skin roughness and redness and it improves the ever-important skin barrier function. Mongongo oil offers a good source of magnesium, providing 527 mg per 100 grams of oil. An important mineral for the entire body, zinc is necessary for the proper function of more than 300 enzymes and 1,000 processes that convert DNA into RNA. In the realm of skin care though, zinc plays an essential role in maintaining a healthy dermis. Zinc has antioxidant properties and can help to cure or curb several skin conditions such as warts, acne, rosacea, psoriasis, eczema, alopecia, keloids, and dandruff. It possesses photo protective and anti-aging qualities, rendering the skin more elastic while diminishing wrinkles. Mongongo contains 4 mg of zinc per 100 grams of kernel oil. Protein is fundamental to every single cell in the human body. Consisting of one or more long chains of amino acids, protein is absolutely necessary for healthy bones, muscles, cartilage, blood, skin, hair, and nails. Protein helps the body make enzymes, hormones, and other chemicals. It also works to build and repair tissues. While consuming a diet rich in protein provides many benefits for skin and hair, applying proteins topically offers a more direct route. For the skin, it promotes elasticity, hastens healing, boosts collagen levels, and helps to reverse the signs of aging. For hair, protein strengthens hair follicles from root to tip, reverses damage caused by heat and chemical treatments, and promotes thicker, fuller hair growth. Mongongo oil consists of around 25% protein. 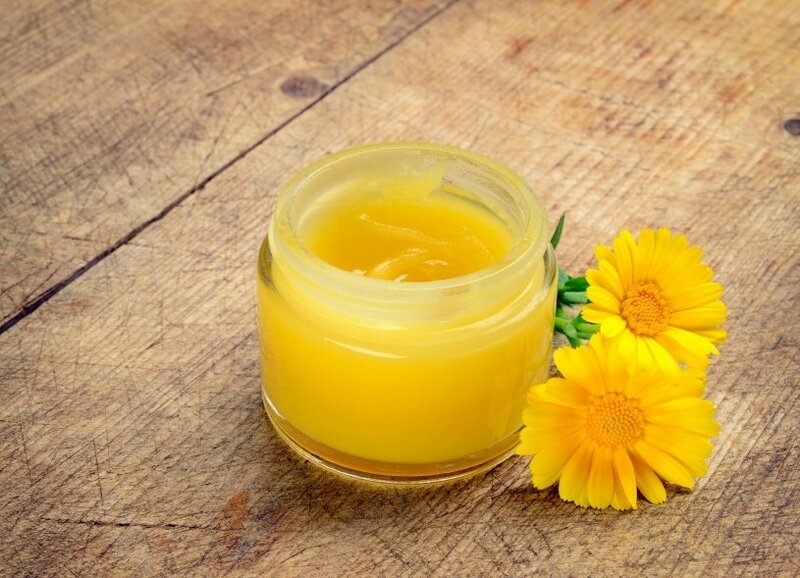 Although mongongo oil is a relatively new entrant to the skin and hair care scene, products using mongongo as the core ingredient are already available in lip balms, shampoos, and body butters. Moisturizer – Apply mongongo oil to your face and body each day for healthy, glowing skin. 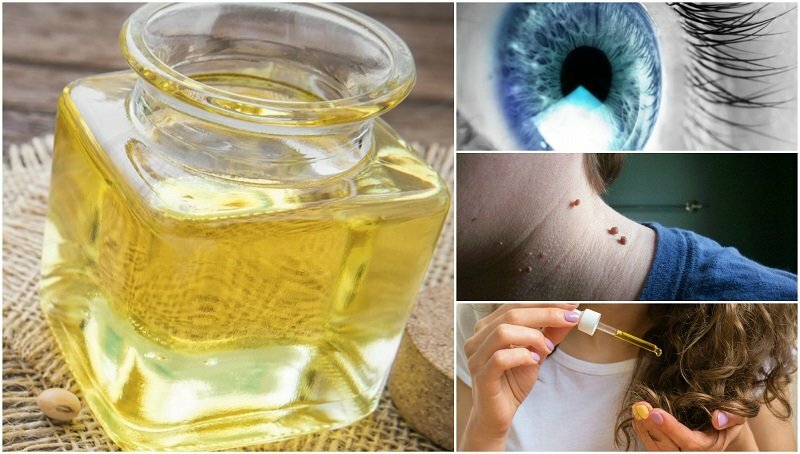 Anti-Inflammatory – Use mongongo oil as a spot treatment for acne, eczema, psoriasis and other skin problems. Sunscreen – Rub mongongo oil into your skin before heading outdoors for added protection from the sun. Leave in Conditioner – After shampooing, apply a small amount of mongongo oil to your wet hair. Be sure to massage it thoroughly into your scalp and tresses. Fix the Frizz – Flyaways and frizzy hair can be easily tamed by rubbing and dollop of mongongo oil between your hands and gently smoothing the surface of the hair.